If you love to explore magical and mysterious places and fight with your swords just like the battles in yesteryear, then the Prince of Persia is the right game for you. You can get lost in the sands, unleash your Warrior within and do so much more in the word of this Prince. 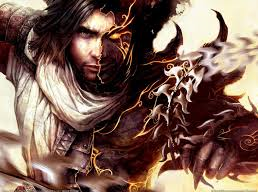 Each Prince of Persia game brings along with it its own world and game play. You had the Prince of Persia Sands of Time that was one of the most highly acclaimed Prince of Persia games ever. The Prince of Persia never ceased to entertain the Prince of Persia fans. So, what’s new for the Prince of Persia fans? Now, you have the new Prince of Persia game where you play the role of the Prince in another mythological world. With this new game, fans will be thrilled to have a new game play that’s well different from the previous Prince of Persia games. The game gives the Prince a female companion to aid in quests and the game play is startlingly different from the previous Prince of Persia games – in fact, you have got to unlearn the previous game play to learn this new one. The story of this Prince of Persia game tells you the journey of the prince (who looks more like a thief at first, thanks to his ragged clothes) who gets transported to a mythical land when he gets caught in a mystical sandstorm. You meet Elika, who guards the prison of the evil God Ahriman. As luck would have it, you go to Elika’s land at a time when the evil God just escapes, releasing corruption around the world. Your adventure starts as you team up with Elika to cure the infected lands. Don’t expect the game play to be easy. Yes, most of the times you will be exploring, jumping around enemies, stealthily sneaking around or fighting extreme sword battles but the AI isn’t dumb. You will need to be on your toes and learn the various fighting moves to stay on top of the game. You need to understand the moves to make or when to act. It’s more of a movie like experience and an adventure game that you will enjoy playing throughout. The game offers hours of fun and you enter a magical world where, well, anything can happen. Of course, with an intelligent AI you might find yourself spending hours on a certain point in the game from where there seems no respite. It’s like a Writer’s block at times – the solution to proceed may be directly in front of you but these intuitive games ensure that you really have to rack your brains hard to see the solution. But what if you do not want to stop enjoying the game? You might need the help of a Walkthrough then to proceed further in the game. Walkthroughs are guides that tell you what you need to do to proceed further in the game and reach the next level. You can play the Prince of Persia game in a wide number of platforms. While many of us love to have a different experience to play the Prince of Persia games and want to experience it on our consoles like the PlayStation and the Xbox, most of us still love to use our PC for playing the game. Get your favorite Prince of Persia game and enjoy being in a new mythical and mysterious land that you just cannot get out of your head.